Last month the Adrienne Arsht Center opened its doors to every fifth grader in Miami-Dade County for the second time in a row, inviting 25,000 students to see this thrilling rock opera based on Homer’s Odyssey. 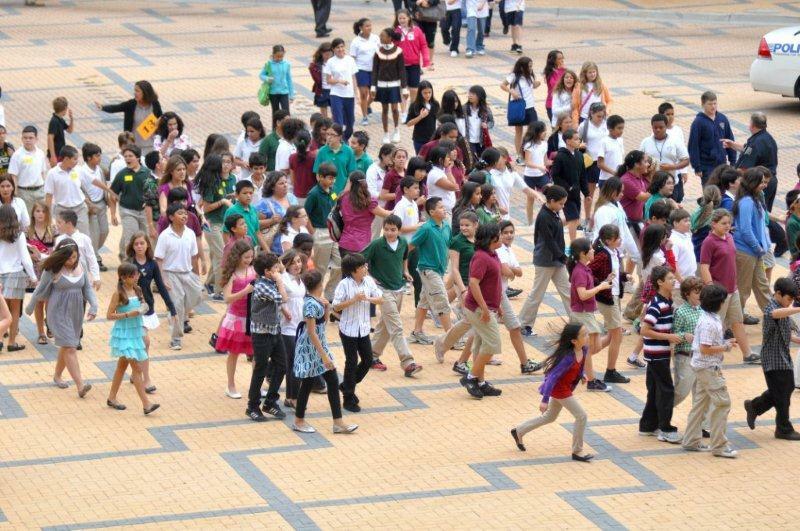 Last May 26,000 Miami-Dade County Public School fifth grade students were invited to see Rock Odyssey, the rock and roll musical presented by the Adrienne Arsht Center last spring completely free of charge to the students and their schools. And the good news is that it returns this September to enrich the lives of all the new fifth graders who have just gone back to school. Through the Adrienne Arsht Center’s Learning Through the Arts program, fifth grade students of Miami-Dade County will enjoy the opportunity to experience live musical theater, free of charge, over the course of two weeks. 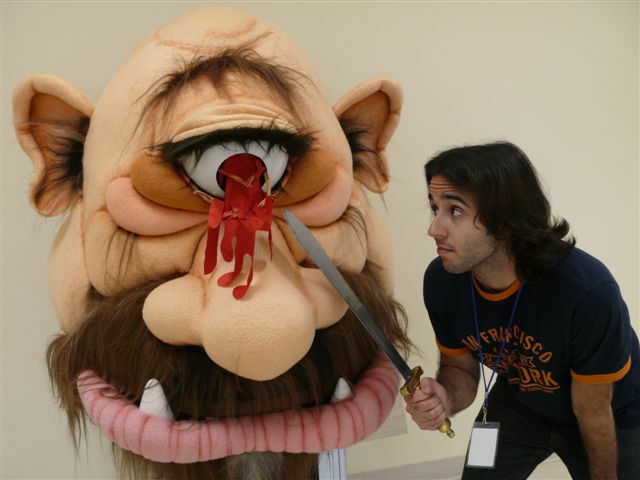 A collaboration between Emmy Award-winning composer Billy Straus and Kleban Award-winning writer Stephen Cole, Rock Odyssey relates the epic tale of Homer’s The Odyssey in an age-appropriate musical theater context, complete with sword fighting, dancing, period costumes, and a nine-foot Cyclops puppet. Students will be transported back to Ancient Greece thanks to the set designed by New York-based Laura Brock and the costumes of Miami-based designer Ellis Tillman. Douglas Love, celebrated television producer, author, and playwright, returns to the Adrienne Arsht Center to remount the production. 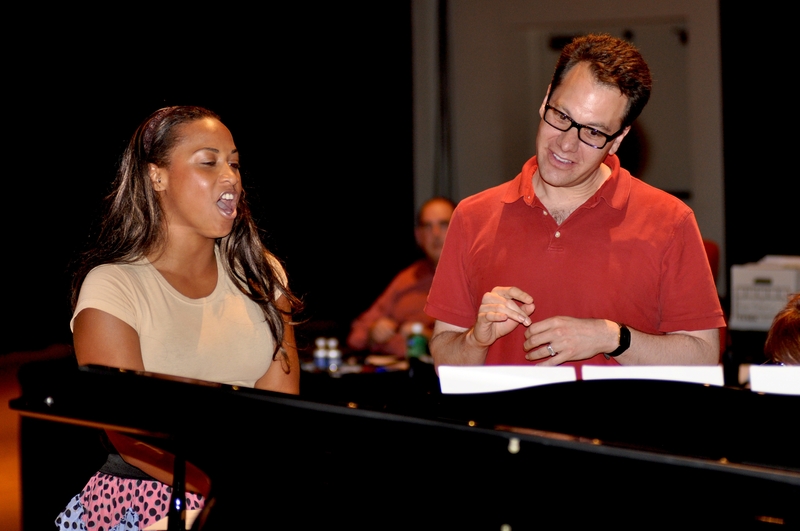 Performed by a local cast of musical theater professionals, Rock Odyssey runs from September 21 – October 1 in the John S. and James L. Knight Concert Hall. Rock Odyssey, the rock ‘n roll musical treat that delighted tens of thousands of Miami-Dade school children at the Adrienne Arsht Center earlier this year, returns this fall to bring the magic of live theater to a new class of 5th graders! Dozens of would-be gods and heroes auditioned for the chance to perform on the Knight Concert Hall stage when a new production of Rock Odyssey, the Broadway-style musical based on Homer’s Odyssey, returns this September. 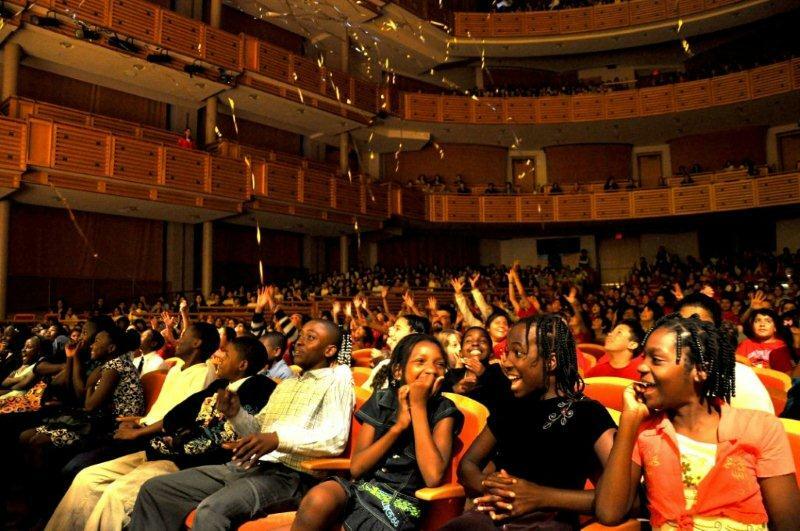 A program of the Adrienne Arsht Center’s Learning Through the Arts initiative and a partnership with Miami-Dade County Public Schools, Rock Odyssey offers 26,000 fifth grade students each school year the opportunity to see a live performance in a world-class performing arts center completely free of charge to students and to schools. The experience extends beyond the theater and into the classroom through an in-class curriculum package, created in partnership with World Book, that is provided to all teachers in the school system, also free of charge. Joshua Dobarganes, one of the cast members in the Adrienne Arsht Center’s production of Rock Odyssey, has spent his entire life in Miami-Dade County as a student and an actor. His family moved around so much that by the age of 14, he had been a student at E.W.F. Stirrup Elementary, Jack D. Gordon Elementary, Richmond Heights Middle, and Herbert A. Ammons Middle. One consistent part of Joshua’s life was theater. Fifth grade presentations and school pageants were the starting point. Middle school brought elective theater classes, school awards and being a part of the theater group from his school that won first place at Junior Thespian competitions at both the District and State level. By the 8th grade, theater was much more than a hobby and his interest prompted Joshua to audition for the newly-formed magnet program at South Miami Senior High. Once he got into the Fine Arts magnet, he never looked back. After high school, Joshua spent a year working in theater for young audiences at Actor’s Playhouse before being admitted into the BFA theater program at Florida International University. His local credits include work with Actor’s Playhouse, Fantasy Theater Factory, and now the Adrienne Arsht Center’s Learning Through the Arts production of Rock Odyssey. In partnership with Miami-Dade County Public School system, the Learning Through the Arts program will bring more than 26,000 Miami-Dade County fifth graders to the Center, free of cost, to experience a live, fully staged theatrical show over the course of two weeks, beginning April 27th.